But the boy survives the terrorist attack. In fact, he doesn’t even bleed. 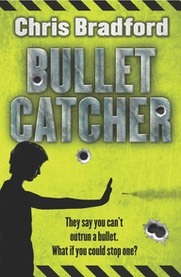 He is a bulletcatcher – somehow the bullets bounce off him. Troy’s skills are rare – and soon SPEAR recruits him into its ranks to protect the rich and powerful. Demand is greater than ever as the terrorists scale up the violence. 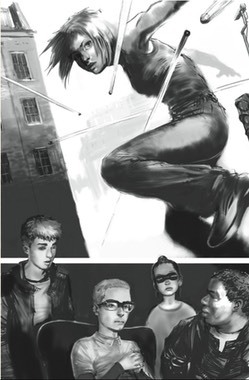 Can Troy and this unit of super-kids keep Terminus City safe?